﻿Annual Card Party: LWC sponsors an annual card party and luncheon at Lakelands Golf Course and Country Club. This fundraiser includes a variety of card games and raffle prizes. Wine Tasting: In the works - Our 1st Annual Wine Tasting! It will be held May 19, 2018 at 7:00 at Lakelands Golf & Country Club. Tickets and more information to come! Giving Tree: Our larget project takes place from mid-November to early December. LWC coordinates with local Social Service Agencies, individuals, and families to grant Christmas wishes to disadvantaged residents of the county. The wishes are placed on Doves which decorate "Giving Trees" at banks, businesses, churches, and schools throughout Livingston County. LWC members collect the donated gifts, purchase any remaining requests, wrap and deliver all gifts to the requesting agencies in time for the holidays. 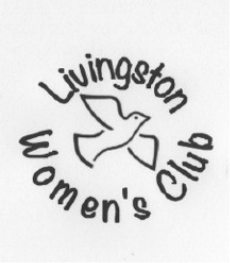 The Giving Closet: Free, new underwear and socks are provided to foster family children (ages 3-12) whose needs are provided to LWC by the Department of Human Services. College Scholarships: The LWC offers an annual college / university scholarship to a high school senior who is a county resident planning on a Human Services career. Applications are available from school counselors or contact LWC. Applications are due the second week in April every year. The Special Citizen Sports Banquet: By partnering with Special Ministries of Livingston County, the LWC sponsors an annual award ceremony for 100 + special needs citizens. This recognition is helpful in improvong self-esteem and potential. Carson Community Days: LWC sells coupon books as a fundraiser. It is for the department store Carson's in Howell. This takes place in November. Crisis Fund: Immediate assistance is available to individuals or families who face an emergency and cannot wait for agency approval. Clients of all county Social Service agencies can inquire about the LWC emergency funding. The Club has provided funds for car repairs, school/work clothing, school fees, medical needs, and other "time critical" issues.